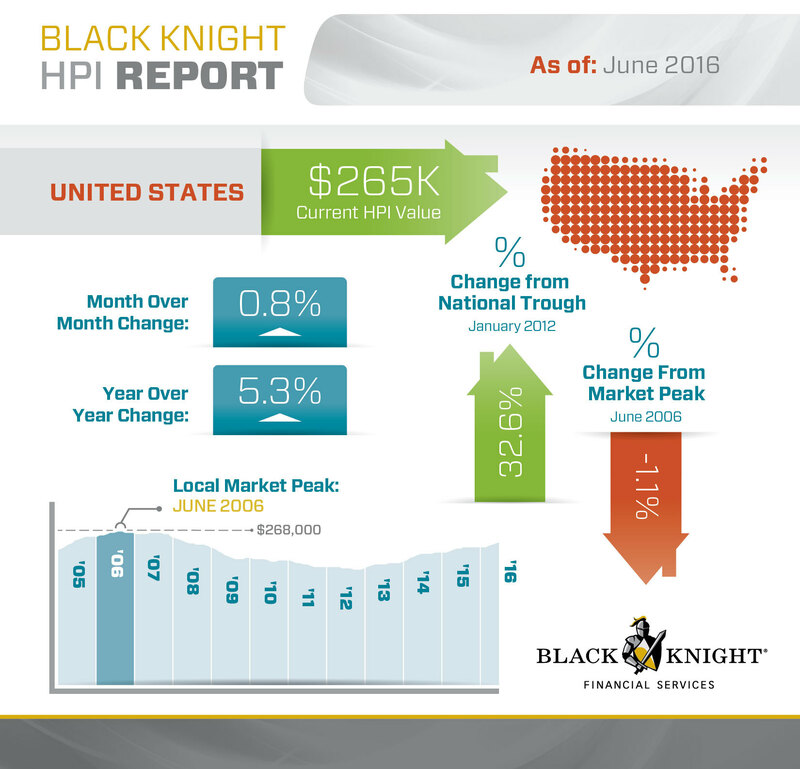 The home price index rose by 5.1 percent from June 2015 to June 2016. This year-over-year price gain is unchanged from last month. 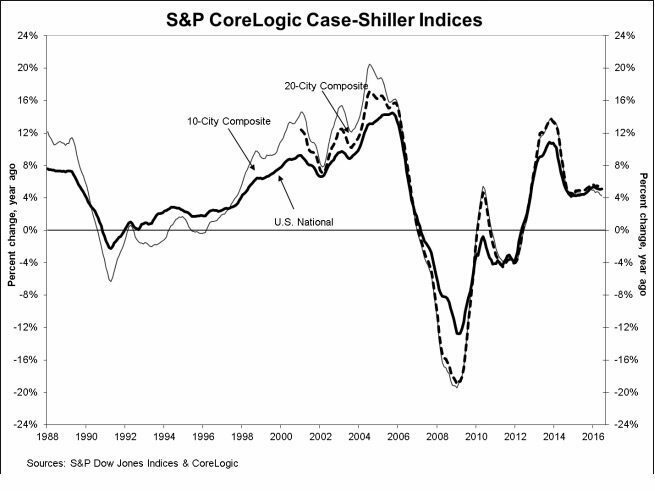 Month-over-month, the index rose 1.0 percent (unadjusted). 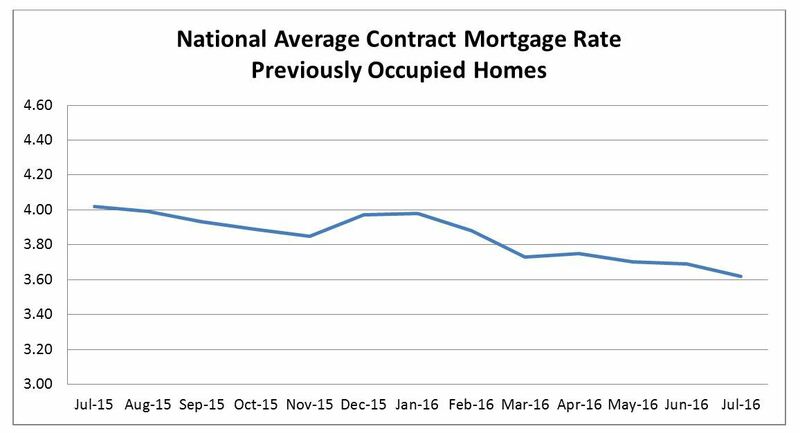 The national average contract mortgage rate for previously occupied homes by combined lenders was 3.62 percent for loans closed in late July. The average interest rate on all mortgage loans was 3.63 percent. The average loan amount was $325,700, down from $333,900 in June. Home prices were up 0.8 percent month-over-month in June. Prices were up 5.3 percent year-over-year. The house price index is at $265,000. Are more young adults moving back in with Mom and Dad?